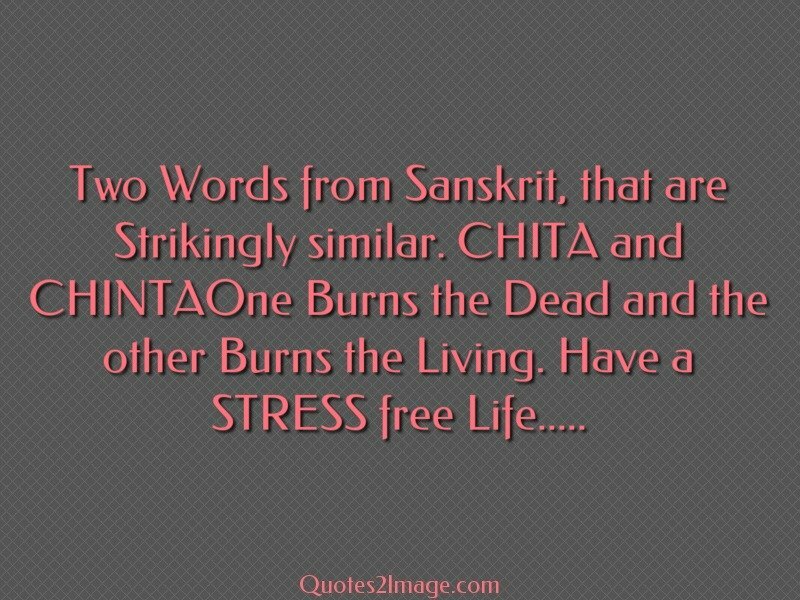 Two Words from Sanskrit, that are Strikingly similar. 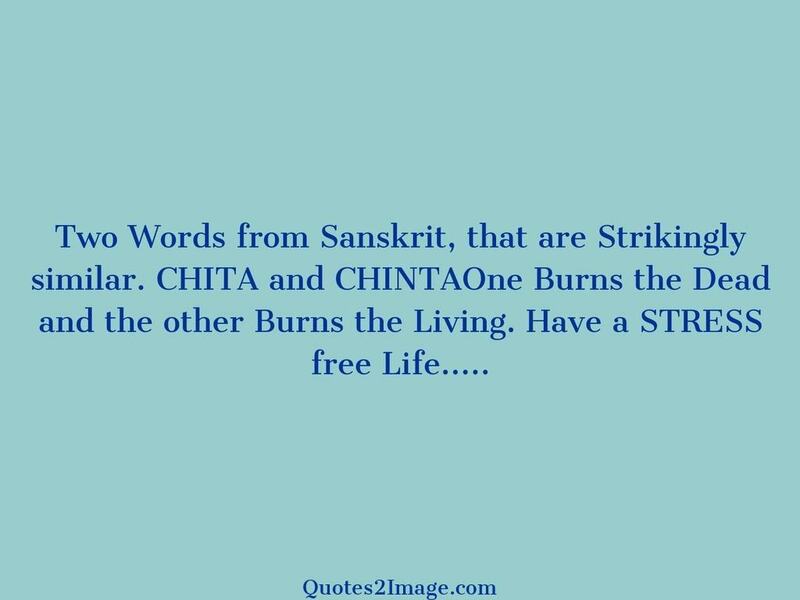 CHITA and CHINTAOne Burns the Dead and the other Burns the Living. 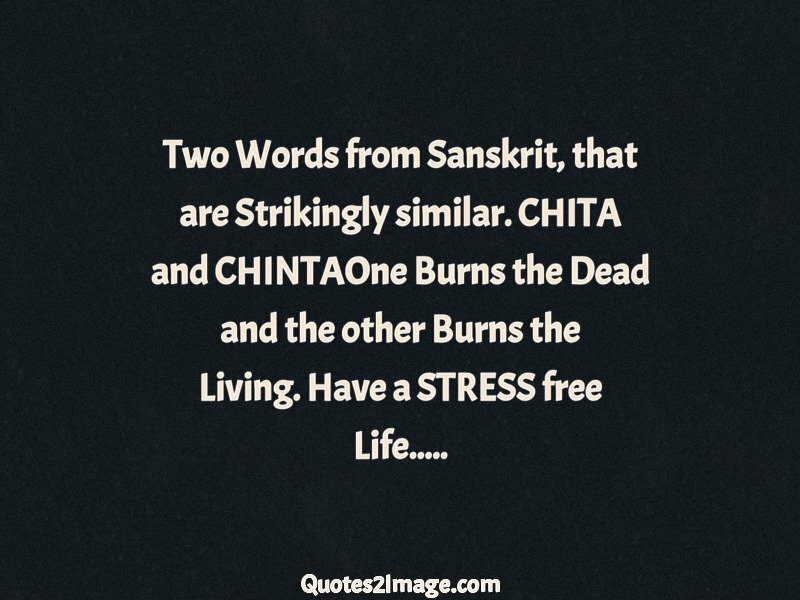 Have a STRESS free Life…..